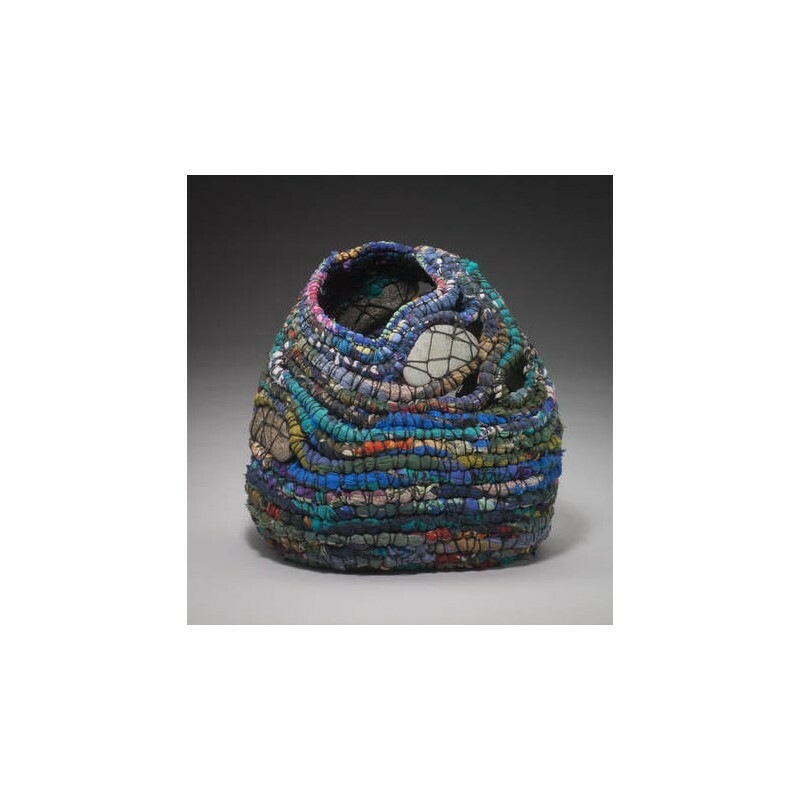 Don't miss this amazing opportunity to learn from internationally acclaimed artist Jackie Abrams of Brattleboro, Vermont. 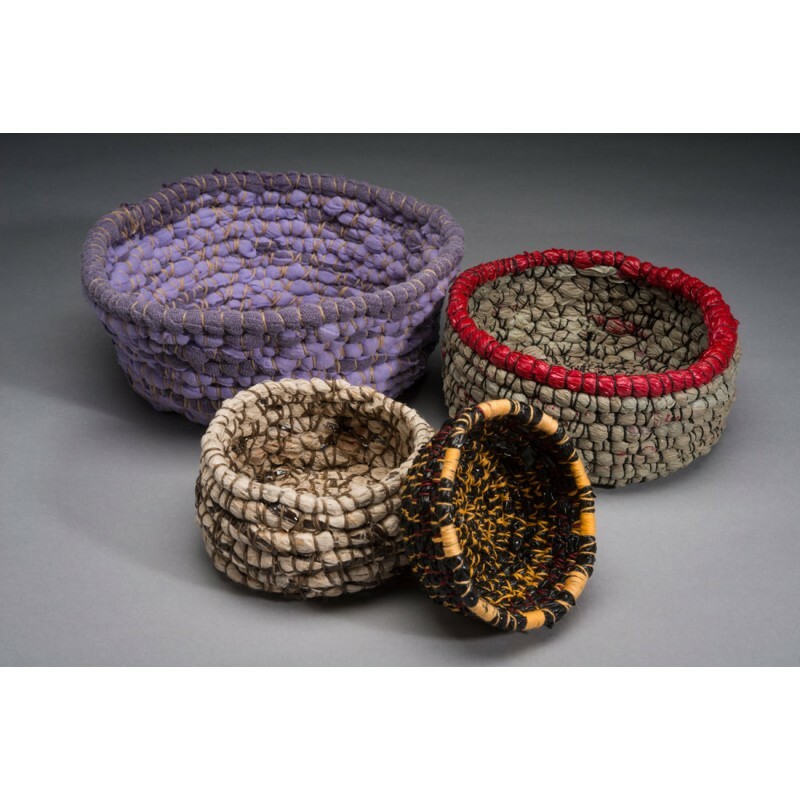 Jackie has been a fiber artist for over 40 years, using and adapting well-practiced basket making skills. 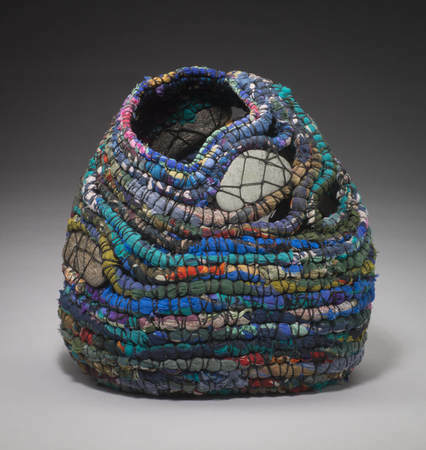 Materials used in her personal work include silk and cotton fabrics, archival paper, wire, sand, thread, buttons, encaustic wax, and acrylic paints and mediums. 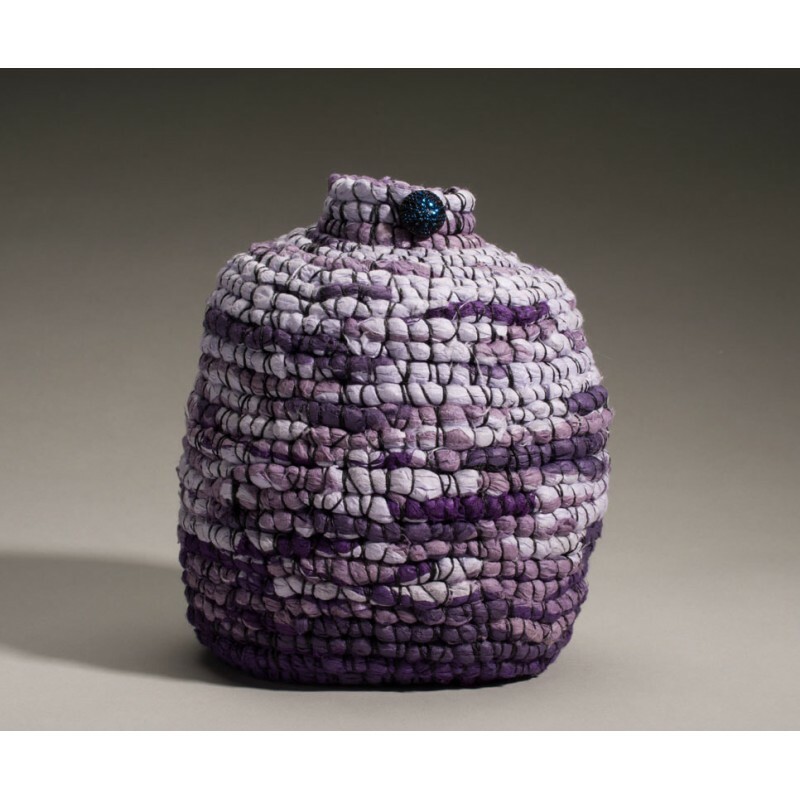 She works intuitively, the colors and textures of the materials informing the vessels she creates. Her workshops are inspirational! Join us as we extend to Jackie a warm welcome-back to Kentucky! 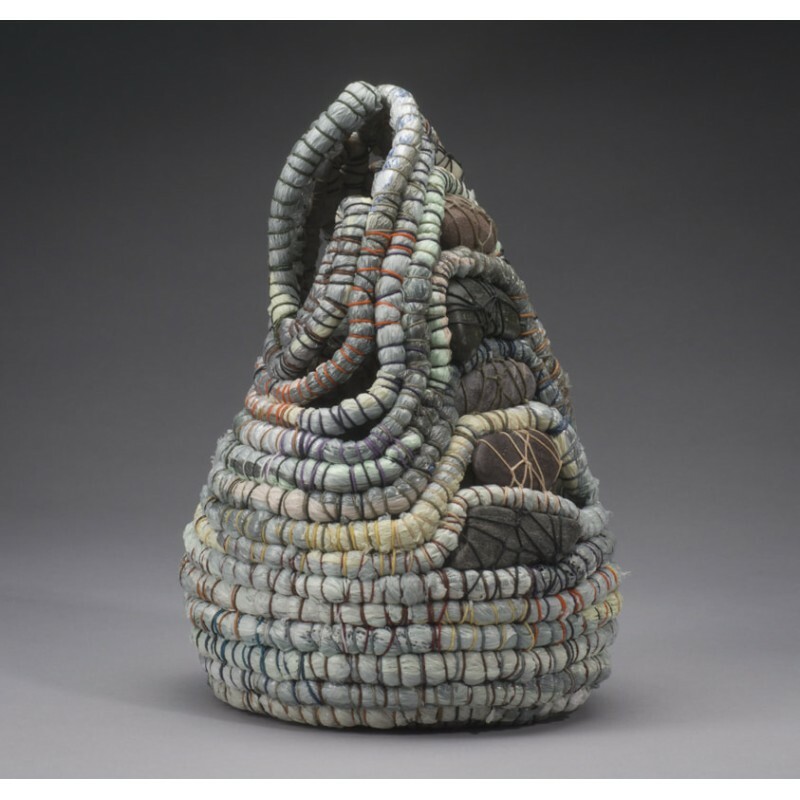 'Not Your Mother's Coiling' is a three-day workshop; it is perhaps the closest you will come to ‘random’ coiling. 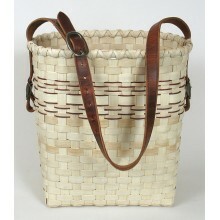 The stitching is simple and functional, while the core materials (plastic bags, fabrics, raffia) are exposed and celebrated. 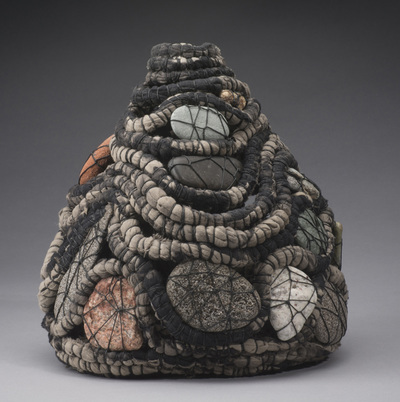 Stones, shells, and other small objects may be incorporated. 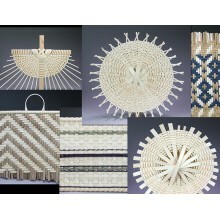 Create a traditional basket form, a wall hanging, or experiment with more sculptural techniques. 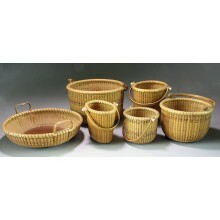 Both beginning and more advanced basket makers are welcome to explore the possibilities. Experimentation and laughter are all encouraged. Registration: Call today to register. Call 1-800-447-7008 or 270-237-4821. 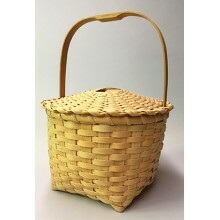 Email us today mail@basketmakerscatalog.com. Payment is due at time of registration; we gladly accept your personal check as well as American Express, Discover, VISA, and MasterCard. Your payment will not be processed until the day of the class. Class fee is non-refundable: Class Handout, containing basic guidelines (this is not a comprehensive instruction), will be mailed to anyone who registers but is unable to attend. 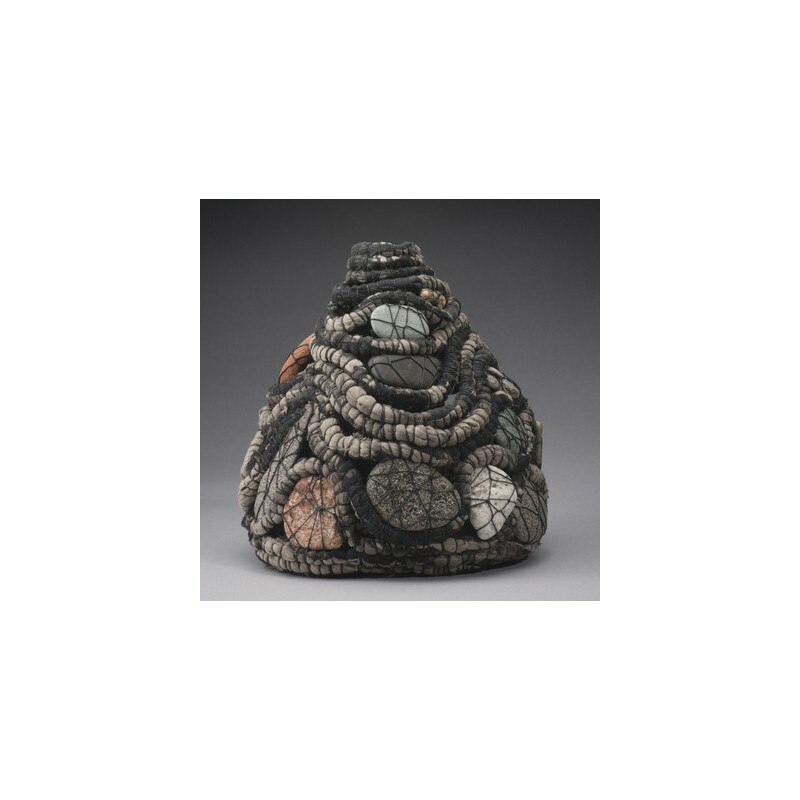 --You could bring fabric, threads, beads, flexible plant materials, stones, seed pods, wires, metal pieces, plastic bags, shells. Materials may be shared. 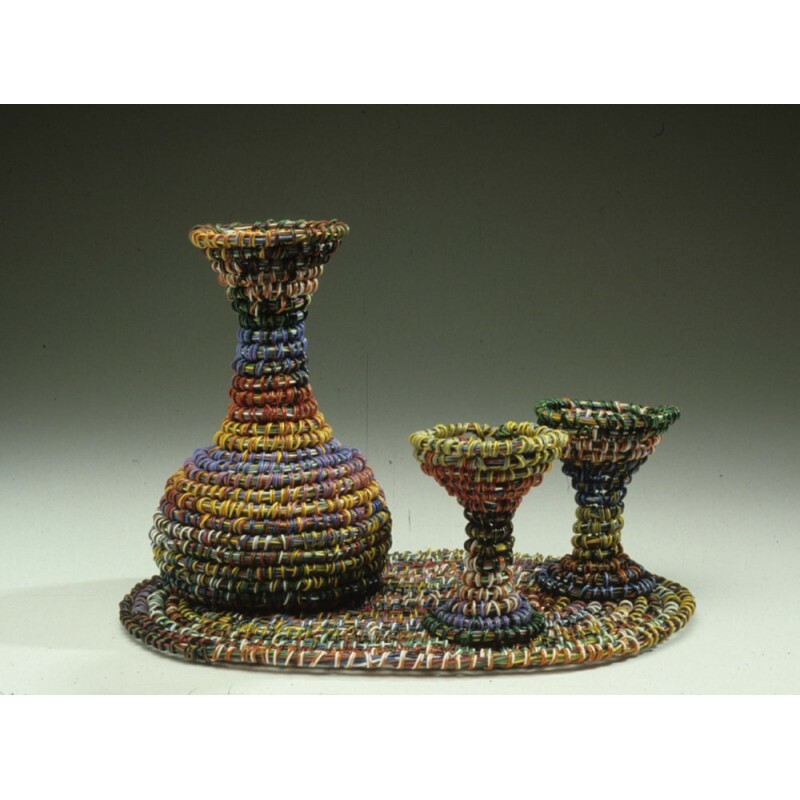 --"Wire works well as an armature; I like 16 gauge – both strong and flexible; I will bring some to share. I prefer copper, but many other wires will work," says Jackie. --Bring items to attach materials together –strong threads (e.g. linen or cotton), wires, clothespins. Waxed linen thread works particularly well, as does cotton (e.g. 3/2 or carpet warp) and silk. It needs to be strong. If it breaks when you pull it, it won’t work. Jackie's preference is 4-ply waxed linen. You can bring beeswax to wax your own threads; Jackie will bring along beeswax to share. 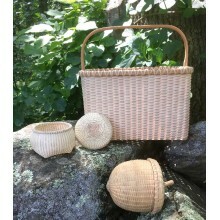 There will be 4-ply waxed linen in a variety of colors for purchase at the workshop from The Basket Maker's Catalog. --Sewing needles – of the appropriate sizes for the materials you are bringing. Particularly recommended are tapestry needles (blunt point with a large eye). 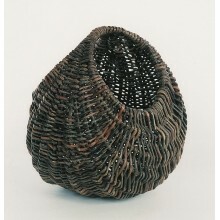 --You will be able to incorporate small (flat-ish) rocks, twigs, or other objects. Bring along a few. 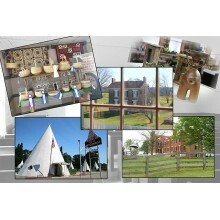 --Check out the “Spirit Women” page of Jackie's website for some ideas. 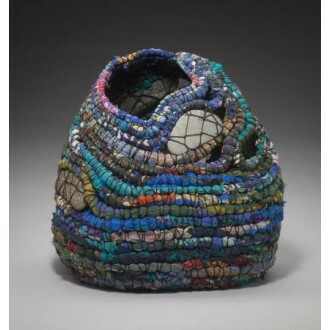 --Note: The amount of material you need will depend, of course, on the size of your finished piece. 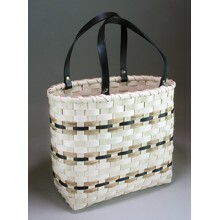 A yard of fabric, or 4 recycled-blouses, would be enough for a small size basket. Plastic bags of all sorts, including dry cleaner bags, work well. Probably 10 bags for a small basket.